Your guide to washing, drying and never losing our favorite pair of socks! 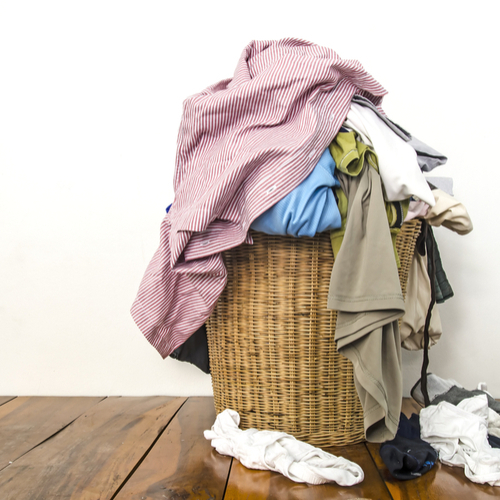 I was never the mom who made her kids do their own laundry, although they knew how to use the washer and dryer and, on occasion, would move the wash from one to the other. I always took on the task of washing their clothing. So, as I watched my own kids learn to do their laundry a few weeks before they left for school the first time, there was a bit of sadness, a touch of pride and a whole lot of woohoo!! Now that they are at school it is pretty amazing to see just what they are able to do with a load of dirty laundry. I had to laugh the first time my daughter called me telling me her favorite white shirt was now a lovely shade of pink! If your child plans on doing their laundry on campus the cost is $1.25 per load for the washer and $1.00 per load for the dryer. My daughter just told me that there is a new app that the UNF has implemented called Speed Queen. The Speed Queen app is a convenient safe way to pay for the washer or dryer right from their phone. According to the information about the app, they will select a location, select a machine and pay. Bay Shore Coin Laundry – Located a little bit away from campus, 10916 Atlantic Blvd, Jacksonville. Very clean and excellent service. Offers ½ price Wednesdays. Cedars Cleaners – 12620 Beach Blvd, Jacksonville. Dry cleaners with fair pricing. K Cleaners – 10920 Baymeadows Rd unit 8, Jacksonville. Same day laundering available. Park Place Cleaners – 4375 Southside Blvd #1, Jacksonville. Dry cleaning, laundering, leather cleaning, and alterations. Town Center Cleaners –10261 River Marsh Dr #125, Jacksonville. Dry cleaning and alterations – within a mile of campus.